Ever since Conor McGregor billion-dollar-strutted his way out of the Octagon in November 2016, after becoming the first two weight world champion in UFC history, he has had a lot to say about the man he wants to fight next. 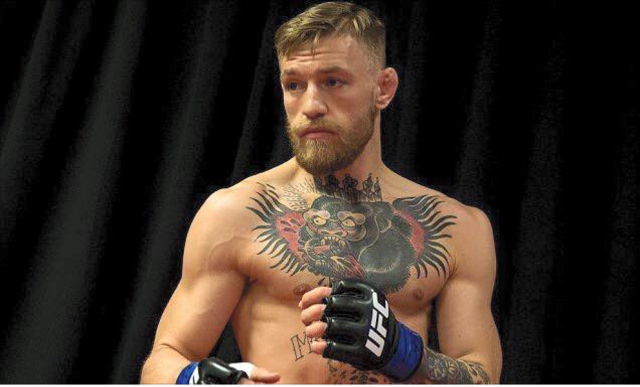 You’d be forgiven for thinking ‘The Notorious One’ wanted to complete his trilogy with Nate Diaz or move up another weight division and take on Welterweight champ Tyron Woodley, but no, McGregor has his sights set on another man, in another sport entirely! And that man just so happens to be one of the greatest boxers of all time, Floyd Mayweather. 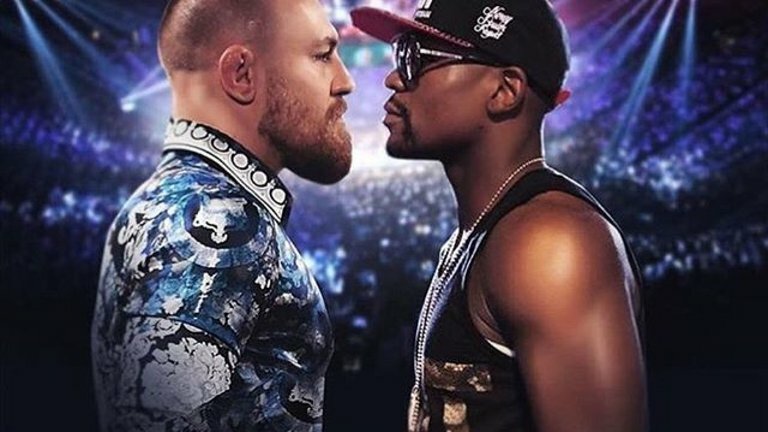 With a boxing bout between McGregor and Mayweather looking like it’s only a matter of the two men putting pen to paper, we at The Sharpe take a look at the two fighters’ credentials in an attempt to answer that all important question – if this fight does happen, who’s got more to lose between ‘The Notorious’ and ‘Money’ Mayweather? 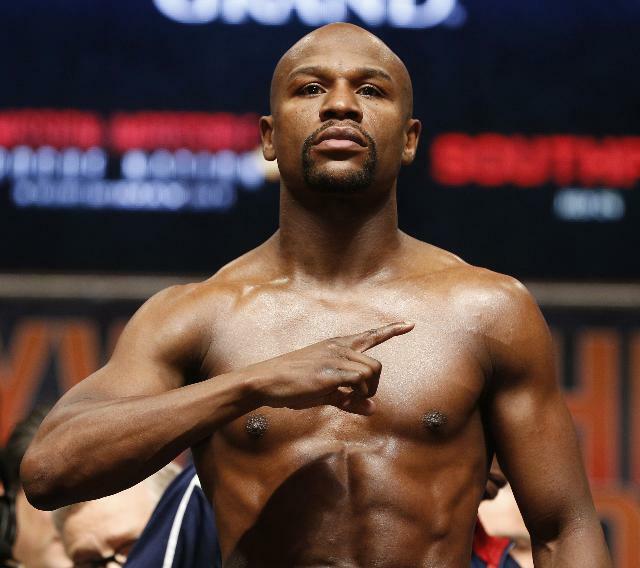 I think it’s safe to say that Mayweather does not need to take this fight because he’s short of a few quid. The man’s professional career has spanned two decades and he’s been a part of some of the highest grossing ‘money’ fights in boxing history against the likes of Ricky Hatton, Oscar De La Hoya and Manny Pacquiao. Having never suffered defeat in his professional career, why should Mayweather risk it all for one more fight against a guy who has never fought a professional boxing match in his life? Well, there are only two reasons to consider here. The first being that Mayweather has the opportunity to fight a seemingly lesser opponent to finish his career off with a perfect 50-0 record and the second, and most important reason is, of course, the money! Floyd loves money, it’s his nickname for god’s sake. Conor McGregor has changed the game of Mixed Martial Arts forever! He’s one of the most recognisable faces, not just in MMA, but in all of sport and his list of catchphrases will be repeated like Father Ted quotes for years to come (“I’m still saying “you’ll do f*ckin’ nothin“). But why does McGregor want to step out his comfort zone of the UFC Octagon and fight a boxer whose name comes up in ‘the greatest of all time’ conversations constantly? Well, McGregor’s reasons are quite simple really. Reason number one is to prove people wrong yet again! Every step of the Dubliner’s extraordinary rise to the top has been met with doubt by peers and journalists alike. So imagine if McGregor, who will go into this mega fight as a massive underdog, was to knock Mayweather out. The opportunity of achieving the impossible is something that McGregor is unlikely to turn down! The second reason is obviously the money, however the payday from this fight would mean a lot more to Conor than it would to Mayweather. Mayweather has been involved in $25 million plus fights for the best part of a decade whereas McGregor has barely made that with all his fight purses combined! Conor, for the first time in his career, is the underdog however, if the shoe were on the other foot and Mayweather was to step into Conor’s world, there wouldn’t be a glimmer of doubt in anyone’s mind that Conor would win. Alas, the bout is set to be a boxing one, and the fact that McGregor is 6/1 and not 66/1 to beat Mayweather speaks volumes. Conor’s a talker, it’s one of the reasons why he’s at the top of the game right now and one of the reasons why he’s been given a punchers chance. 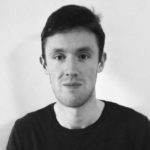 The betting for the bout may be as lopsided as a one-legged badger, but has far as the fight build up is concerned well, Conor McGregor is heavy odds on to come out on top. The verbal sparring match that Conor and Floyd Mayweather Senior will have during the build up will be worth the price of entry alone, and what McGregor did at MSG on Paddy’s Day, in front of boxing’s most decorated journalists, has given us a glimpse of what we can expect… and we’re too excited! Speaking of that night, when Michael Conlan made his pro debut, what McGregor did was nothing short of astonishing. McGregor is, of course, the king of MMA, and before March 17th he was simply referred to as ‘the MMA guy’ by those in boxing circles, but after that night, I’m sure there isn’t a boxing journalist nor fan alive who doesn’t know who Conor McGregor is! So Who’s Got More to Lose? After weighing it up, the conclusion is that Mayweather has far more to lose than McGregor and there are a couple of reasons for this. Mayweather has never lost a professional bout and if he was to lose this fight against a guy who had just a couple of amateur fights, when he was a teenager, Mayweather would never live it down. McGregor, on the other hand, could quite possibly, and most likely will lose this fight, however I don’t think it will hurt his star appeal one bit, in fact I think it’ll enhance it! If this fight does ever go ahead, two things are for certain. Firstly, the build-up will be something that we’ve never seen before and secondly both men are going to walk out of this supposed super fight a hell of a lot richer. We’ve discussed who has more to lose between McGregor and Mayweather, and have decided to lean on the side of Mayweather, but seriously, do any of these fighters actually lose out on anything? The cash these men will be paid to do what most of us do for free, after a few too many Jägerbombs, is actually quite sickening, which makes them both winners in my book. Speaking of winners, we as fans are the real winners! If this fight happens, it could spark a trend of MMA v Boxing bouts and who knows, we may have Conor McGregor v Floyd Mayweather with Anderson Silva v Roy Jones Jr on the undercard and who wouldn’t want to see that!